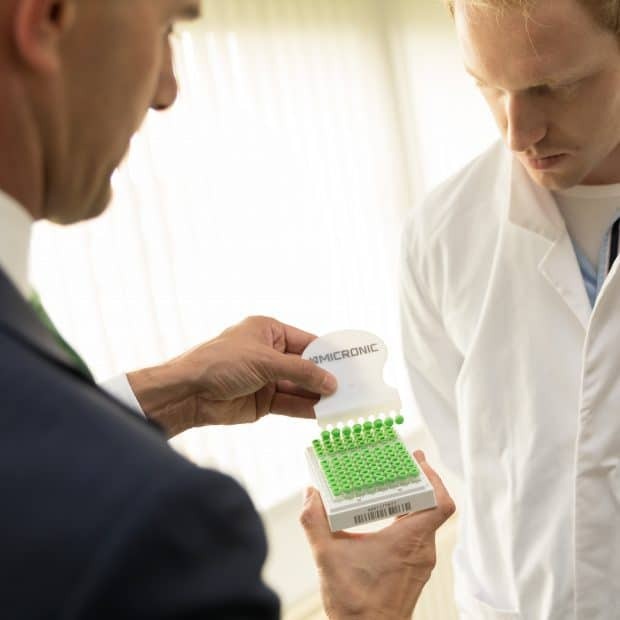 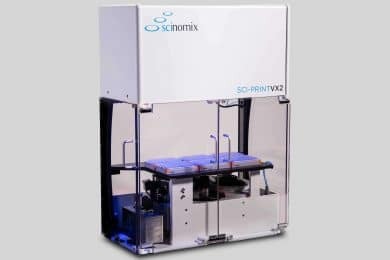 The Sci-Print MP2 is a semi-automated label printer that prints and applies labels onto a variety of microtiter plates for sample tracking. 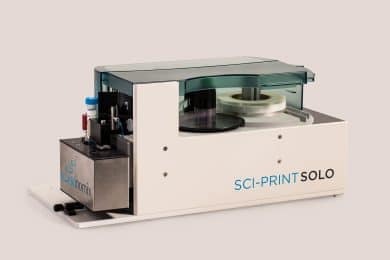 The Sci-Print SOLO is a semi-automated tube and vial labeler that can label tubes and vials ranging in size from 0.5 mL to 50 mL. 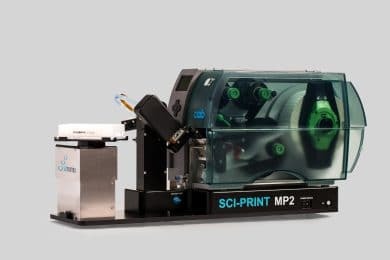 The Sci-Print VX2 is a fully automated tube labeling system, capable of printing and applying labels to tubes ranging from 0.50mL to 50.0mL in size. 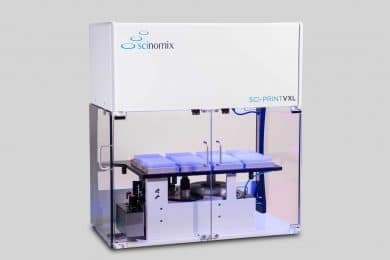 The Sci-Print VXL is a fully automated tube labeling system capable of printing and applying labels to tubes ranging from 0.5 mL to 50 mL in size. 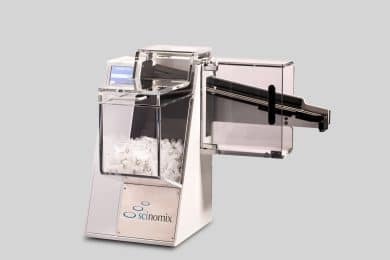 The Scinomix VXQ is a bulk tube handler that eliminates hand loading of tubes into racks to provide even more time savings.